The United States Senate voted along narrow party lines on Thursday to confirm Kathleen L. Kraninger as the new full-time director of the Consumer Financial Protection Bureau (CFPB) for a term of five years. After a vote of 50-49, Kraninger will become the first full-time director the agency has had since the resignation of inaugural director Richard Cordray from the position in November, 2017. The CFPB’s leadership structure has been of interest to the reverse mortgage industry, since the agency’s initially-stated mission of oversight concerns financial institutions. 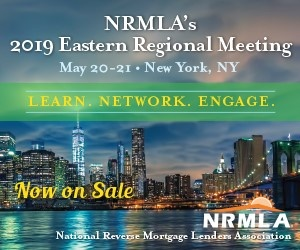 Firms under its regulatory purview include those active in both forward and reverse mortgage-servicing and lending operations. Kraninger’s ascension to the role of CFPB director relieves current acting head Mick Mulvaney, who has been operating as both the interim CFPB director as well as director of the Office of Management and Budget (OMB). Upon the start of Kraninger’s term, Mulvaney is expected to return to heading the OMB full-time. In mid-November, 22 financial organizations, including the National Reverse Mortgage Lenders Association (NRMLA), co-signed a letter submitted to Senate Majority Leader Mitch McConnell (R-KY) and Minority Leader Charles Schumer (D-NY) which endorsed Kraninger’s confirmation as CFPB director. Kraninger was first nominated to the director position of the CFPB in June, having worked as program associate director for General Government in the OMB since March of 2017. Senate Republicans have offered their complete support for her ascension to the new position, citing her experience in public service and management. Senate Democrats attempted to mobilize opposition, but the nomination overcame a final procedural hurdle at the end of November, when the full body voted 50-49 to end debate on her nomination and move forward with the scheduling of today’s confirmation vote.